Rana will be shooting for Haathi Mee Saathi in Thailand for a month,. The dashing and highly talented Rana Daggubati is arguably one of the most popular young stars in Telugu cinema today. In just a few years, this macho star has found firm footing in the industry courtesy his impressive performances and suave personality . Moreover, he has won hearts thanks to his top-notch style game and bindass nature. Now, there is some interesting information for his fans. According to the latest reports, Rana recently took off to Thailand to shoot for his upcoming film Haathi Mere Saathi and begin the latest chapter of his professional life. The shoot was supposed to commence in January but things got delayed for unknown reasons. 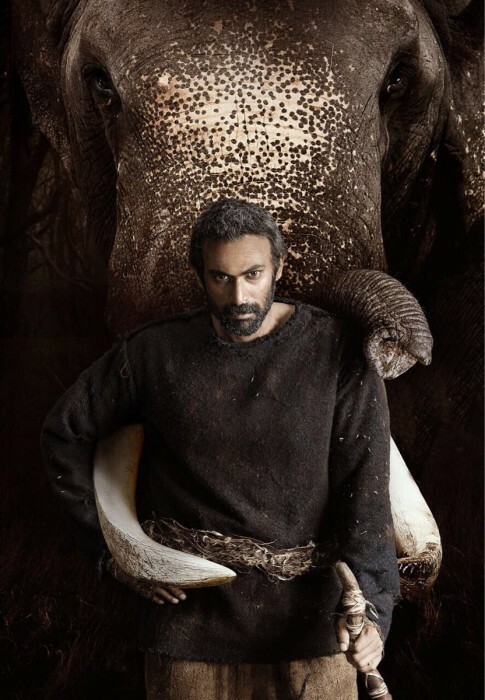 In case you did not know, Haathi Mere Saathi is a Prabhu Solomon directorial and features Rana in a new avatar. It is a tribute to Rajesh Khanna’s yesteryear classic of the same name and will highlight the relevance of nature in man’s life. Sometime ago Rana had said that this will be a rare and challenging role for him. “It’s a rare story about the relevance of nature in our lives, narrated through a wonderful relationship between man and elephant. This story is definitely another of those rare challenges I’m beginning to enjoy being a part off. Prabhu Solomon passion for nature and elephants makes him probably the finest craftsman in the country who can handle a story like this,” he had told a leading daily. On a related note, 2017 was a good year for Rana. He started off the year with The Ghazi Attack which did well at the box office and received rave reviews. Thereafter, he delivered a solid performance in Baahubali 2 and became the darling of T-Town. His final release was Nene Raju Nene Mantri which did well at the box office and earned critical acclaim. At present, besides HMS, he also has 1945 in his kitty.